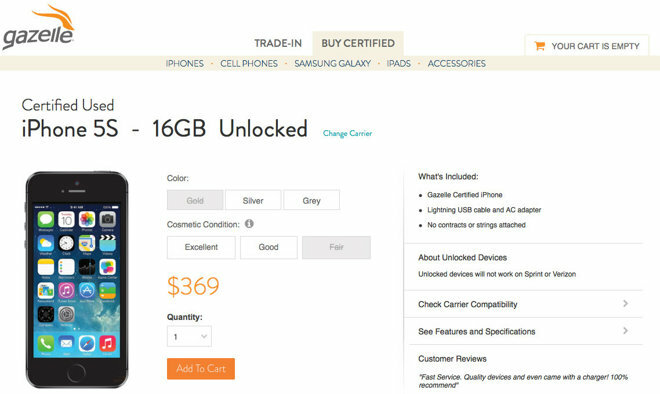 Price-conscious parents looking to equip their kids with smartphones or tablets for the new school year are embracing Gazelle's new certified pre-used iPhone and iPad stores as an alternative to paying full price for a brand new device, the company says. 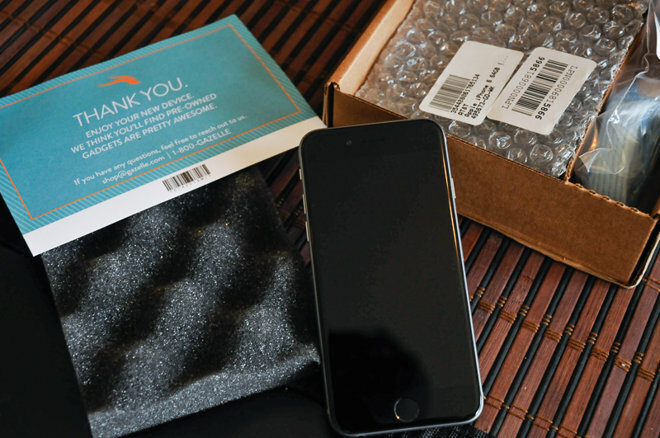 Gazelle, an AppleInsider sponsor and the nation's biggest electronics buyback service, has long been known for its trade-in service, which helps consumers quickly turn their old iPhones and iPads into cash by locking in a price quote on its website and then dropping the devices in the mail. More recently, the company has made strides to build out another pillar of its business by taking some of its highest-quality Apple iOS device purchases, inspecting and certifying them, and then making them available for sale on its new certified pre-owned online store. "Heading into the back to school season, we've seen a significant volume of parents turning to Gazelle to buy certified pre-owned iPads, iPhones and Samsung Galaxy phones for their kids," a spokesperson for the Boston, Mass.-based company said. Since launching the certified pre-owned store roughly 9 months ago, Gazelle says that nearly 20% of its existing trade-in customers have logged on to the new store and purchased a certified pre-owned device for a child. Of those children, the vast majority are said to fall between the ages of 11 and 19. A recent poll of these customers found that 15% are buying their first device, while 30% are looking to replace a broken device, and 33% are upgrading to a newer model than what they already own. But overall, 66% of these customers say they chose a certified pre-owned device from Gazelle rather than buying direct from Apple because of the cost savings and sense of security they receive from the company's certification process. Generally speaking, Gazelle says customers can save up to 40% by buying a certified pre-owned device rather than buying new. For example, the company sells a certified pre-owned unlocked iPhone 5s 16GB for $369 compared to $549 new from Apple. Similarly, an iPad Air 2 16GB WiFi fetches $399 from Gazelle rather than $499. Gazelle maintains that all of the devices on its store are "gently used" and ensures the condition of devices with a 30-point quality inspection. All iPhones, for instance, come with no contracts or strings attached, and are backed by a 30-day risk-free return policy. Earlier this year, AppleInsider set out to test Gazelle's quality claims and randomly purchased and reviewed a certified pre-owned iPhone from the company's new store. Most iPhone models are offered in either "Excellent," or "Good" condition (though Gazelle recently added a third tier: Fair). Our evaluation focused on an iPhone 6 in "Good" condition and we found that the quality of the device exceeded Gazelle's representation. Presently, Gazelle's certified pre-owned store offers models ranging from a $119 black AT&T iPhone 4s in fair condition to a $759, 128GB silver Verizon iPhone 6 Plus in excellent condition. As a service to readers, AppleInsider maintains a real-time listing of Gazelle's certified pre-owned iPhones along with pricing within its Price Guides. The same list is also embedded below. So far this year, Gazelle says its hottest selling devices are the iPhone 5 16GB on AT&T and Verizon, as well as the iPhone 5S 16GB on those carriers. For iPads, customers are increasingly choosing Apple's 16GB WiFi iPad 2.